Scientists at HRL Labs, sponsored by DARPA, have found a new way to make miracle materials. They found that they could design a material in a computer, then have that material formed by computer controlled lasers shooting through a gel that solidifies on contact. This allows them to make a material that is 1/1000th the thickness of a human hair. To add strength, they coat the material with nickel and dissolve the original plastic. By being able to design the structure so small and precise they are able to make a metal material that is 99.99% air and only .01% metal. 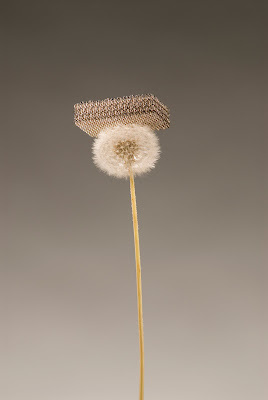 This metal structure easily rebounds when compressed or deformed and is the lightest metal material that man has ever been able to make. According to the designers, this metallic microlattice would be ideal for battery components, catalyst supports, and damping of shock, acoustic, or vibrational energy. Materials such as this would also be ideal for heat-dissipation in air cooled computing devices. Their lightness would also allow for weight savings on cars and planes, which would ultimately save large amounts of fuel. Spacecraft would also benefit, as this material only weighs 0.9 milligrams per cubic centimeter in a world where it costs well over $1,000 per pound sent into orbit. Just to compare, I looked up the density of the lightest materials that I regularly use. Saran Plastic Wrap is 1000 times denser than this metallic microlattice per cubic centimeter and Styrofoam is 100 times denser. Indeed, the air that we breathe is 1.2 mg/cm cubed compared to the 0.9 mg/cm cubed of the new material. Even feathers are about three times denser than this new material. The only thing that even comes close in the materials department is Aerogel at 1.9 mg/cm cubed. 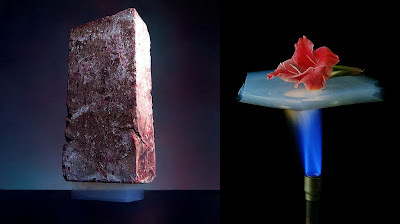 Aerogel is also known as frozen or solid smoke. 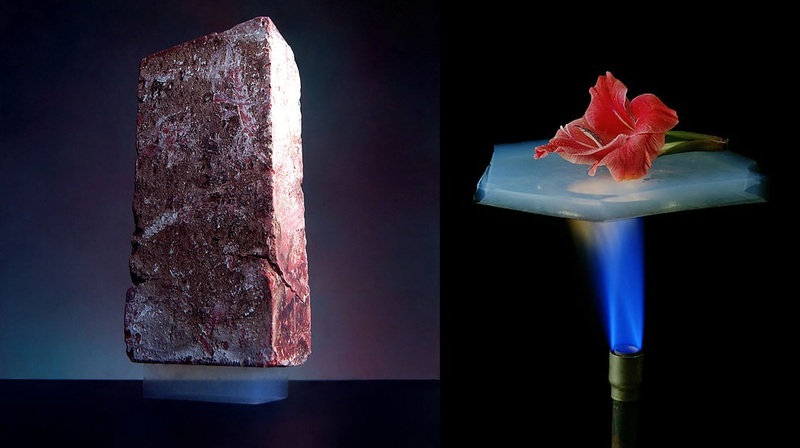 It can be seen with Aerogel that materials of this low density seem to have strange and fantastic properties that we would not expect. By using these properties to our advantage we will be able to do things not previously dreamed of. This new method of material construction is similar to the advances seen when we started making buildings out of steel girders instead of stone. By perfecting the exact design of materials, certain attributes can be enhanced, such as weight or compressibility. You simply couldn’t make the Golden Gate bridge out of stone. By being able to design materials on the micro or nano scales all kinds of new possibilities will become available. Everything from clothing to full sized buildings could be made with very specific properties while using much less material, thus reducing cost and possibly increasing useful life. Imagine a shirt that weighs one hundredth of a normal cotton shirt, made of high strength metal. Indeed, this technology is so new that we are going to have to rely on scientists to discover all of the possibilities that this technique offers because we’ve never seen anything quite like it before.